Philip Russom, Research Director for TDWI, will cover his perspective on the benefits of data hubs to modernize data infrastructures. Ron van Bruchem, Business Architect at Rabobank will share their results and what they have learned by putting Data Integration Hub into production. 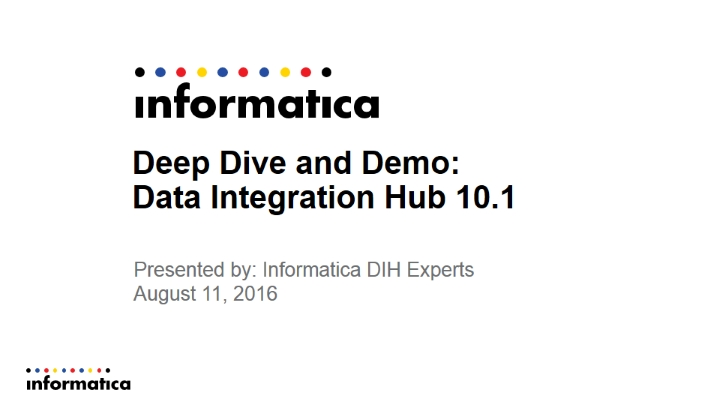 Scott Hedrick, Director Product Marketing for Informatica, will moderate and provide a brief overview of Informatica Data Integration Hub.